This listing is for a white oval background with a black push & pull. 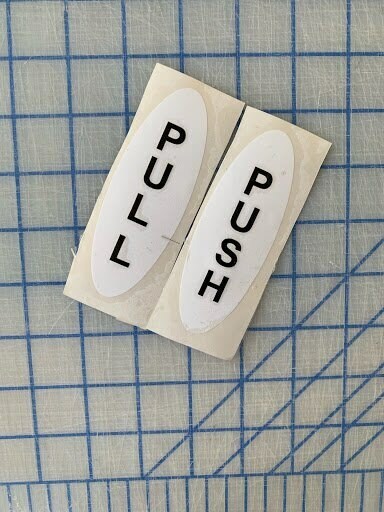 The order consists of 1 push and 1 pull decal. Do you have to clean a lot of slobber off of your glass doors because people think they should push instead of pull? I can help. With these Push Pull vinyl decals, you will save on trips to the hospital. Size is 4" x 1.5"